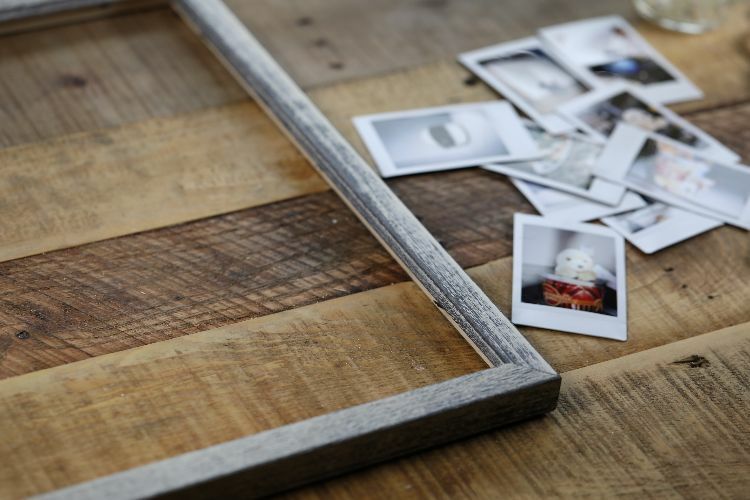 Displaying photos is a really great way to share memories and add personality to any space. But, if you're getting a little tired of the traditional photo frame, this funky idea is a great way to showcase several smaller images in a fun design. Perfect for a dorm room or the living room, this simple DIY isn't just charming, it's cheap! This finished project creates a shadow-box type display that you can hang on the wall or set on a shelf. Step 1. Flip your frame over so that you are working on the backside. 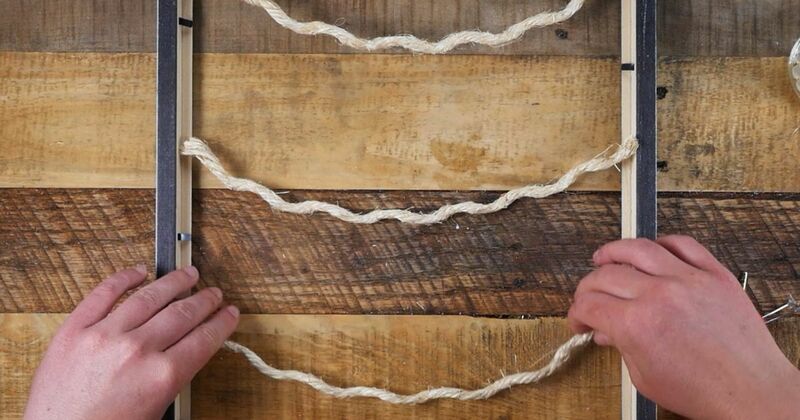 Use hot glue to attach your twine on both sides of the frame. Make sure to leave the twine a little loose so that it hangs a bit. You can fit three rows in a traditional 8x10 frame. Allow the hot glue to dry before proceeding. 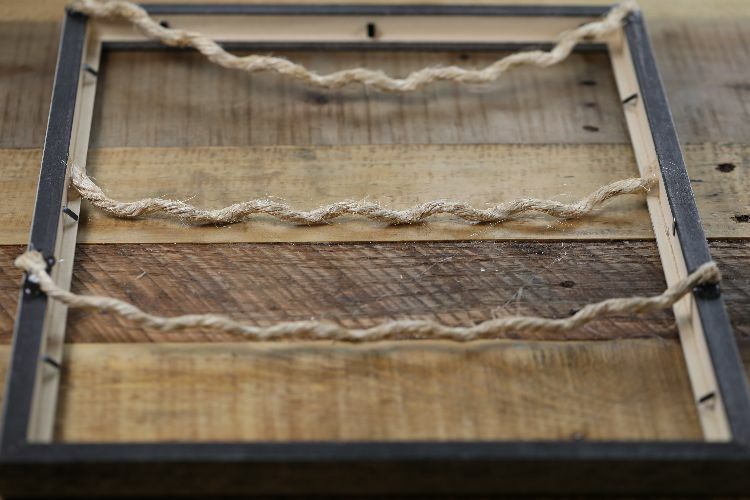 Step 2: Once the glue is dry, flip the frame over and use mini clothes pins to hang your images on each row of twine. You can add a hook to the back of the frame or lean your display on a shelf for all to enjoy! 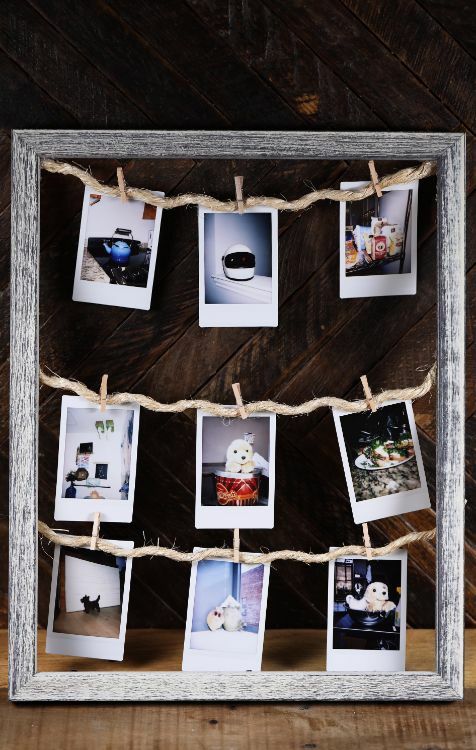 Bonus tip: For a modern twist, try a metal (or black) frame, wire instead of twine and paper clips to hang your photos. If you loved this project idea, make sure to share it with your crafty friends on social media so they can have a cute display in their home too!